Spotify pivots from music streaming service to... makeup retailer? Spotify pivots from music streaming service to… makeup retailer? Today, Spotify announced a new partnership with beauty brand Pat McGrath Labs, allowing listeners to purchase makeup through the platform. Sales are done through MerchBar, which Spotify joined forces with in 2016 in order to flog band t-shirts, posters, and vinyls. Makeup is, therefore, a bit of a weird one. It’s also worth pointing out that at this point, it’s just an experiment, and the company is only trialing it with one musician: saccharine Texan pop starlet, Maggie Lindemann, who I definitely didn’t have to look up on Wikipedia before writing this piece. Lindemann has partnered with Pat McGrath Labs on a campaign called “So Obsessed.” It’ll be a selection of products that gets sold through her Spotify page, rather than the entire Pat McGrath lineup. Over email, a Spotify representative described Pat McGrath as a “legend in the beauty space,” and “iconic.” I’ll take her word for it. 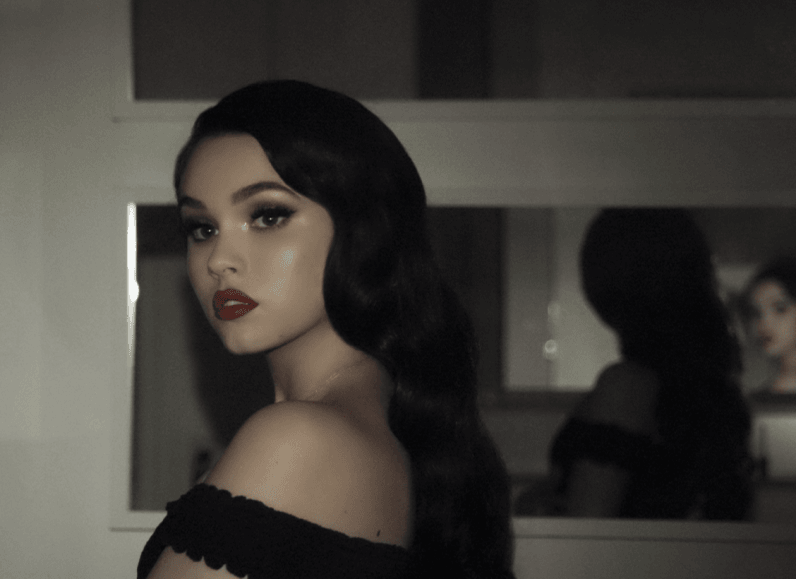 In a statement, Jordan Gremli, Spotify’s Head of Artist and Fan Development, said, “Maggie Lindemann is an extremely exciting young artist, with over 7 million fans listening to her all over the world every month on Spotify. In partnering with Pat McGrath to offer beauty products in this innovative new way, she will be connecting directly with her fans in the place where they go to enjoy her music already: on Spotify. If you head to Maggie Lindemann’s page, you should start to see a pitch for Pat McGrath’s LiquiLUST 007 line, along with a selection of her Unlimited Edition makeup (the press release tells me). This is timed with the launch of Maggie Lindemann’s new track, “Obsessed,” which drops on November 17. Right, I’ve rambled unconvincingly about makeup and teen culture for several paragraphs. Now, it’s time for me to put on my tech reporter hat and discuss what this means, because this is a really smart move for Spotify. Spotify is currently in a tough position. Revenues have never been bigger, and the company has weathered new competition from the likes of Apple Music, but the company is bleeding red ink, having endured losses of roughly $580 million last year. No matter how you look at it, the advertising and subscription revenue model just isn’t cutting it. So, the company is looking at ancillary revenue. In the same way an airline might sell you a can of coke or a slightly better seat on top of your ticket, Spotify wants to sell you tickets, merchandise, and now, products that an artist is somehow involved with. It goes without saying that celebrity endorsements are a big business. Will this one deal with Maggie Lindemann close the chasm at the heart of Spotify’s finances? Definitely not. But at scale, it could probably do some good. Imagine going to Taylor Swift’s profile, and getting prompted to buy some Keds, Or seeing an advert for her latest perfume whenever you listen to some Ariana Grande. Imagine indulging in your guiltiest pleasure, listening to Paris Hilton’s 2006 stinker, Stars are Blind, and seeing an ad for the latest ICO she’s spruiking. Alright, maybe not that one, but the overall point still stands. I can also see this being great from the perspective of a fans and artists. Musicians have often complained about the paltry sums streaming services pay, at least compared to CD sales (which, by the way, aren’t coming back). Most notably, Taylor Swift boycotted Spotify in 2014, only returning to the platform in 2017. But now, they can flog more stuff. Not just tour merchandise, but also products that the artist has put their name to. And as a fan, I’m excited as Spotify continuing to position itself as a one-stop-shop for merchandise. While most artists have their own Shopify pages, I’m always a bit wary of putting my credit card details down. Spotify, on the other hand, is a trusted brand.